We have all heard about the unrest in Ferguson, Missouri. However, many of us (myself included) are unaware of how much that unrest, that volatility has impacted the community. In particular, the people of the community and especially the children. As educators I think we are by nature, a very kind and compassionate group of people for the most part. 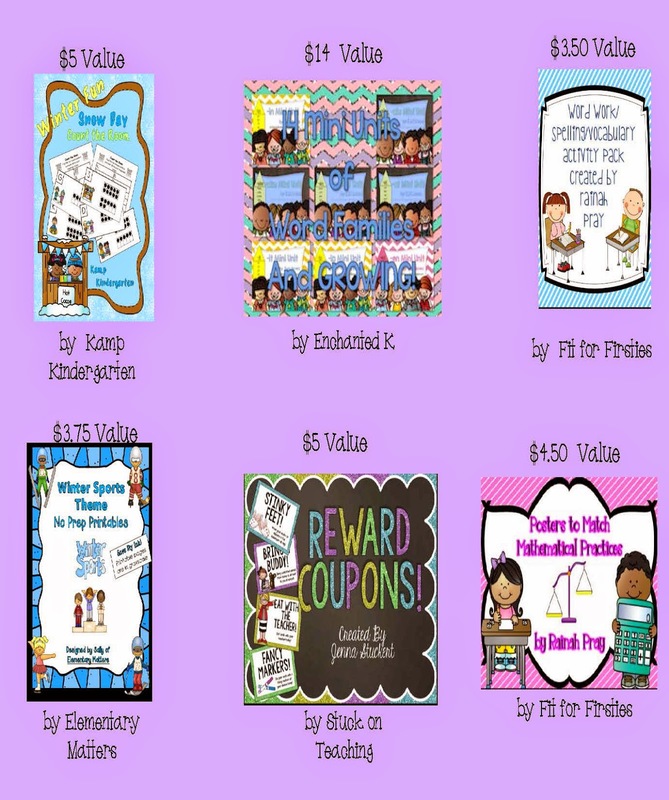 So I was not surprised when a fellow TPT seller Rainah Pray of Fit for Firstie's started a fundraiser for the children of Ferguson, Missouri. This can best be explained in Rainah's own words, as a member of the community who has seen first hand the turmoil and unrest long after the media crews have left. 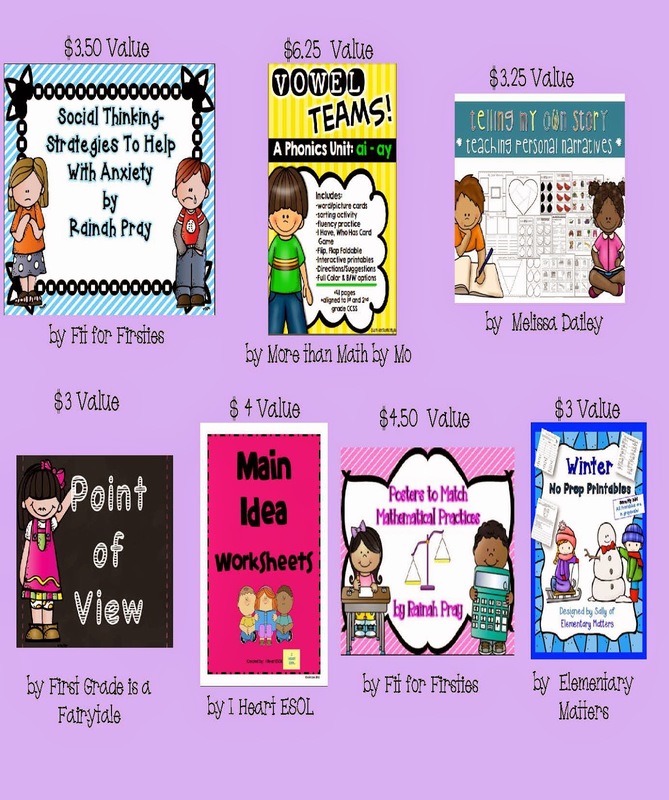 Rainah has worked tirelessly to organize an incredible fundraiser with Teachers Pay Teachers and educators and sellers to create some truly fantastic resource bundles at incredibly amazing prices. 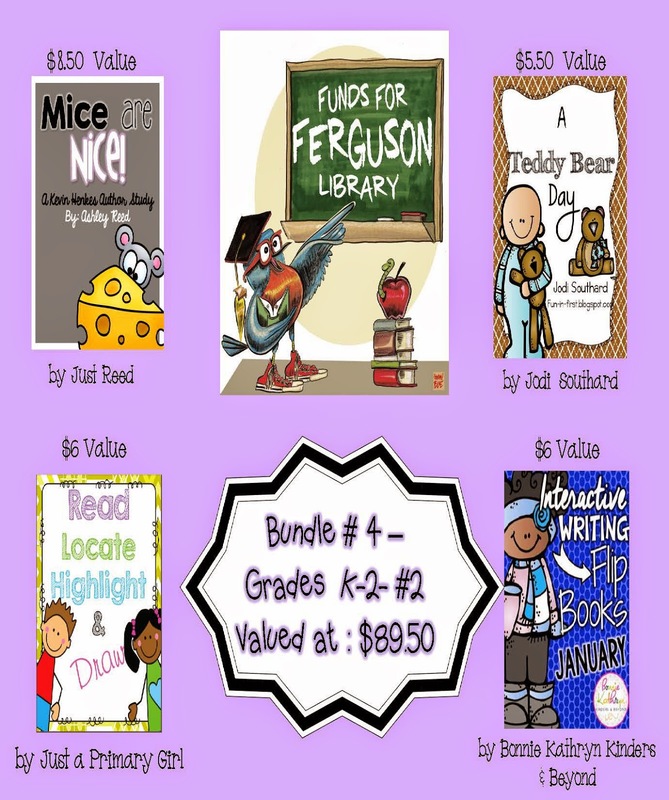 All proceeds earned from the Funds for Ferguson Fundraiser will be donated directly to the library. So, if you've been kind enough to still stay with me through this epic post then let me show you what Rainah has put together. Let me tell you folks, these are incredible deals. I bought a bundle myself. 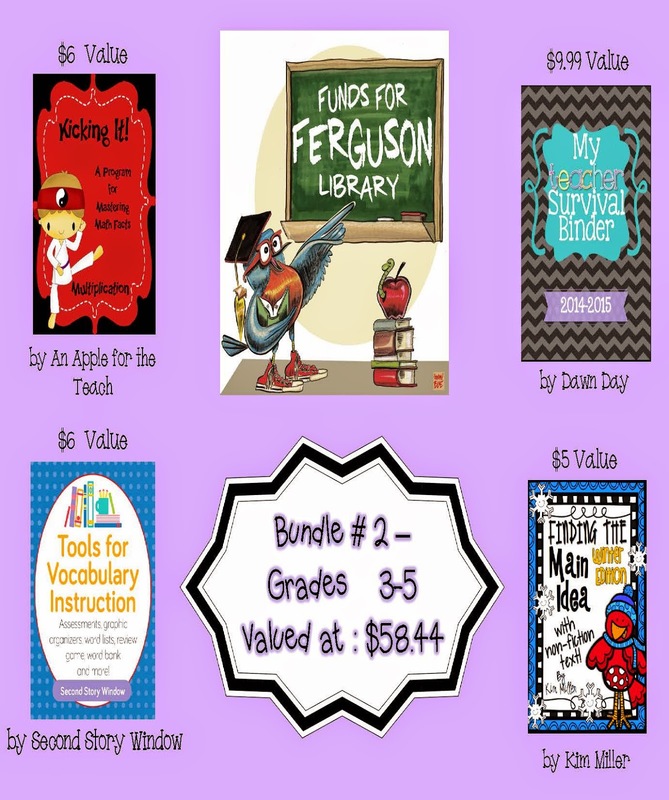 This is Bundle #2 also on sale here at the Funds for Ferguson store on TPT. 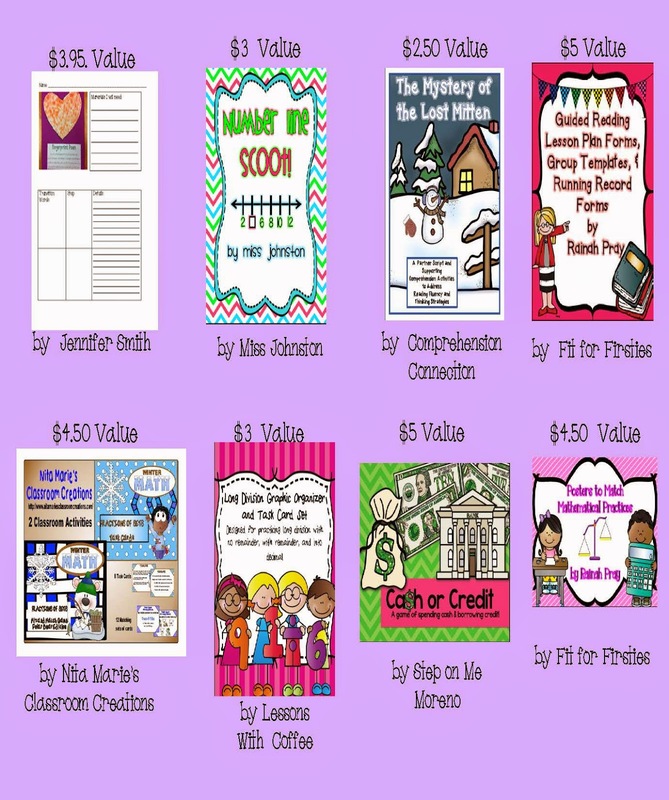 Sellers include: Kelly Malloy, Dawn Day, Second Story Window, Kim Miller, Jennifer Smith, Miss Johnston, Comprehension Connection, Fit for Firsties, Lessons with Coffee, Nita Marie's Classroom Creations, and Step on Me Moreno. 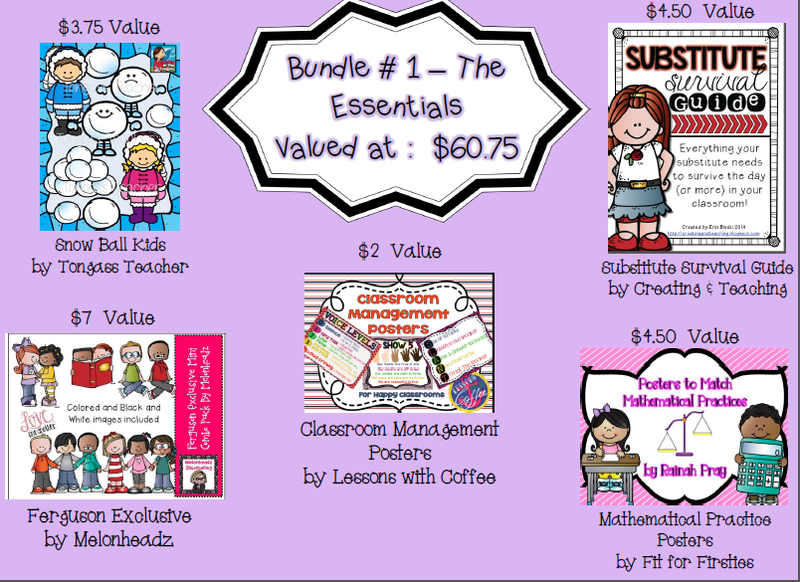 Bundle #3 is on sale here at the Funds for Ferguson TPT store. 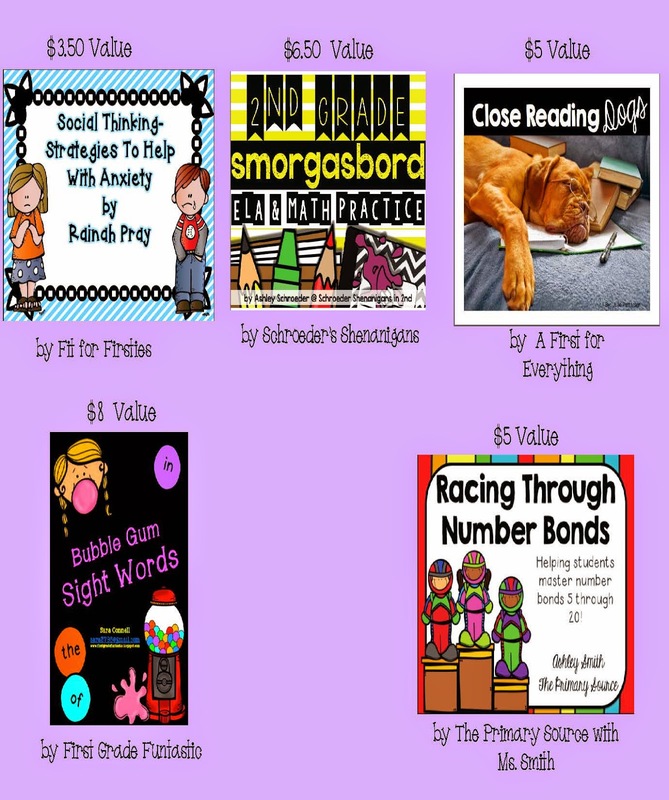 Sellers include: Growing Firsties, Sparkling in Second, The Printable Princess, Fit for Firsties, Kamp Kindergarten, Enchanted K, Elementary Matters, Stuck on Teaching, Schroeder Shenanigans, First Grade Funtastic, The Primary Source with Ms. Smith and A First for Everything. 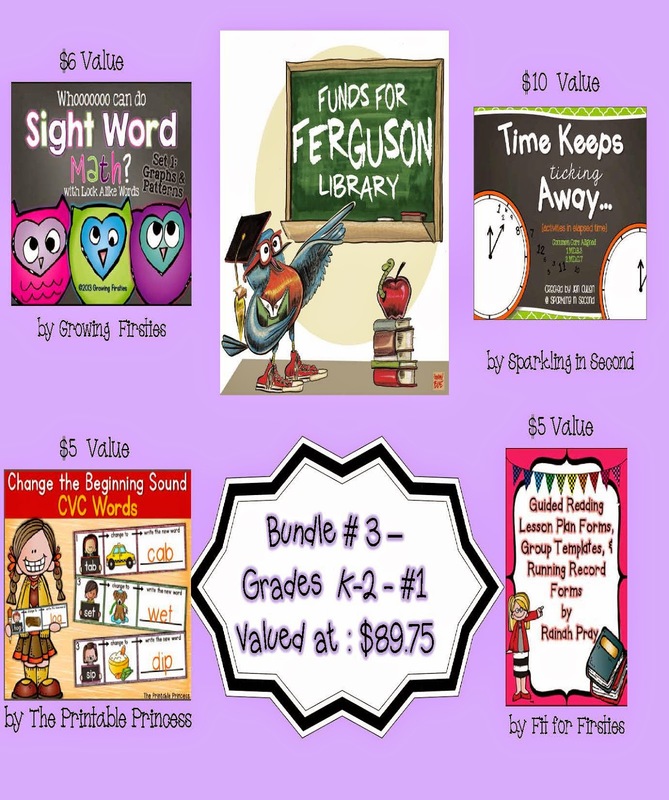 Last but certainly not least, is bundle #4 on sale here at Funds for Ferguson TPT store. 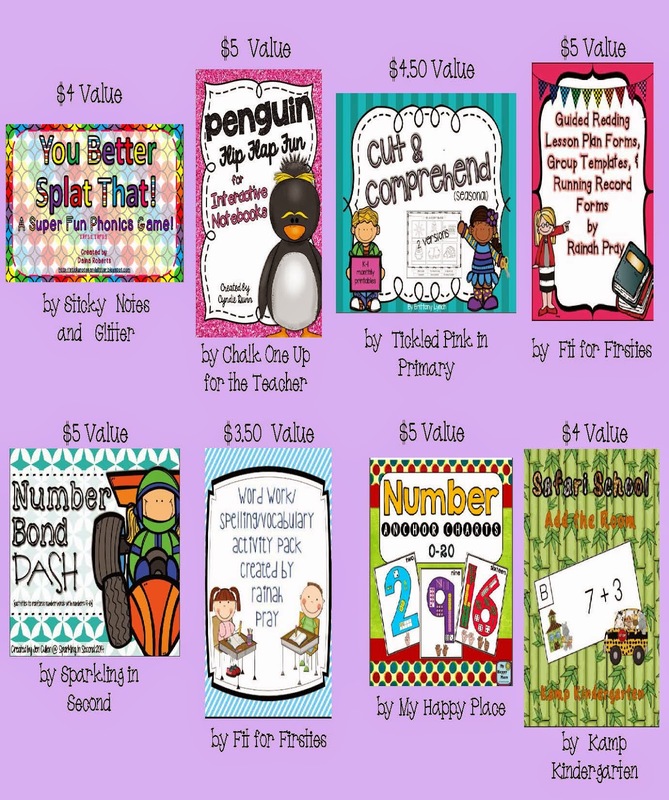 Sellers include: Just Reed, Fun in First, Bonnie Kathryn Kinders and Beyond, Sticky Notes and Glitter, Chalk One up for the Teacher, Tickled Pink in Primary, Fit for Firsties, Sparkling in Second, My Happy Place, Kamp Kindergarten, More than Math, Melissa Dailey, First Grade is a Fairy Tale, I hear ESOL, and Elementary Matters. 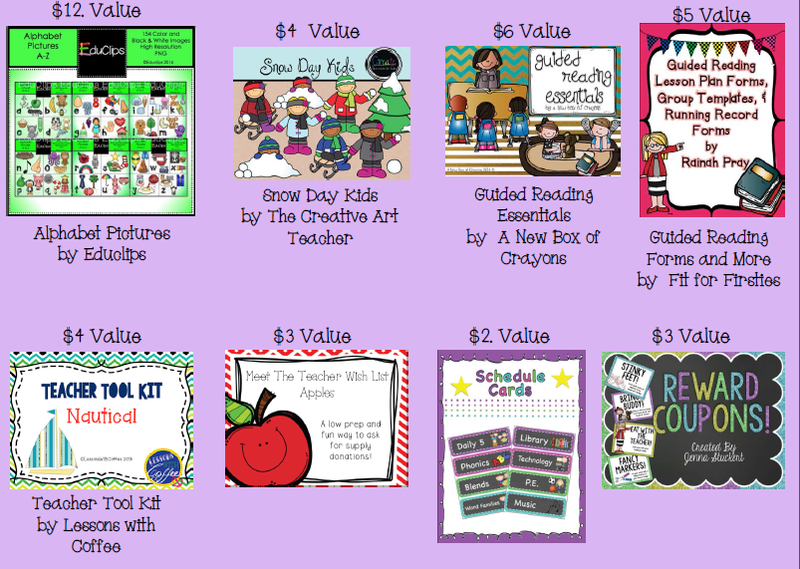 I just love when I get something I need for my classroom that also helps out a great cause and best of all, other children.